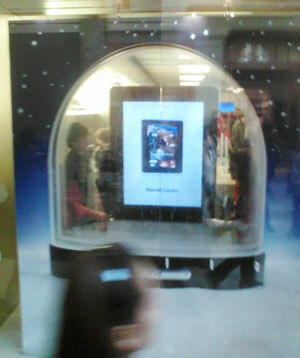 Hard to tell from this picture, but Apple was displaying giant iPads inside giant snowdomes. The display creators took the analogy a little further and had snow falling throughout the whole display, rather than just inside the dome. It’s often helpful to take things out of context. 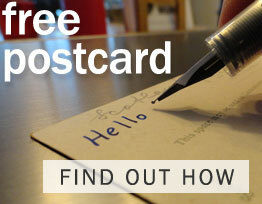 That can greatly increase awareness of what you wanted to highlight. I find this oddly compelling (probably for the reason you described). Advertising always amazes me. Actually, the way advertisers can think up new ways of presenting the same old things, like soap, amazes me. Now it’s computers. Next PostNext Similar to me?